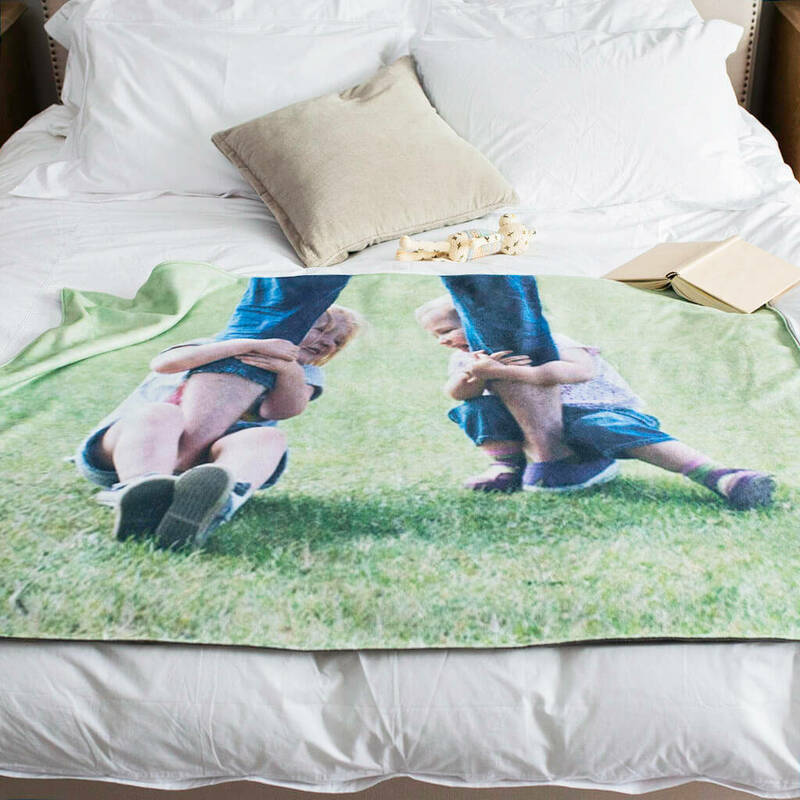 A personalised photo blanket, displaying your own special photo, supersized and printed onto a stunning luxury blanket. 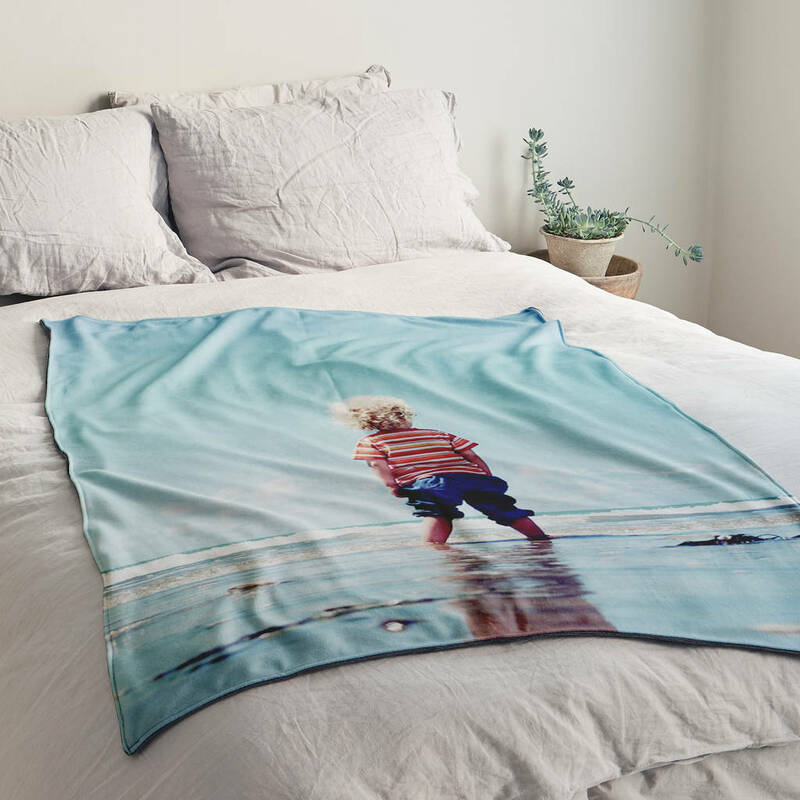 Create extra warmth this Christmas by wrapping yourself in your memories in the form of this luxury blanket, complete with one of your favourite photos. Use an image from Summer to bring back happy memories of warmer days spent on a favourite holiday, or warm your heart with a photo that stirs memories from a special occasion. 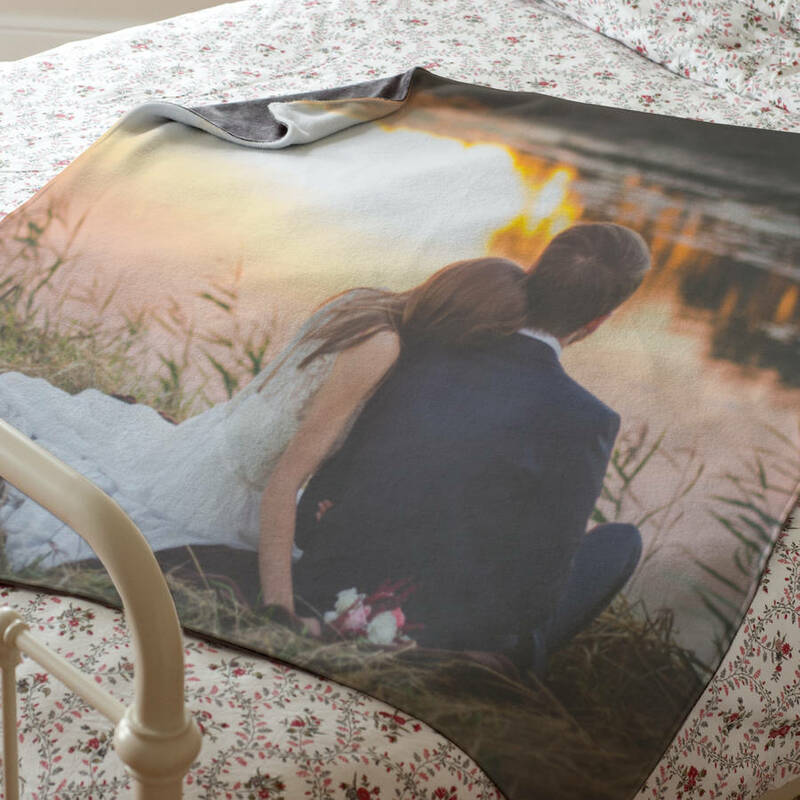 A perfect gift for a newly married couple, showing a photo from their big day, or a child or family, showing a photo from a holiday spent together. 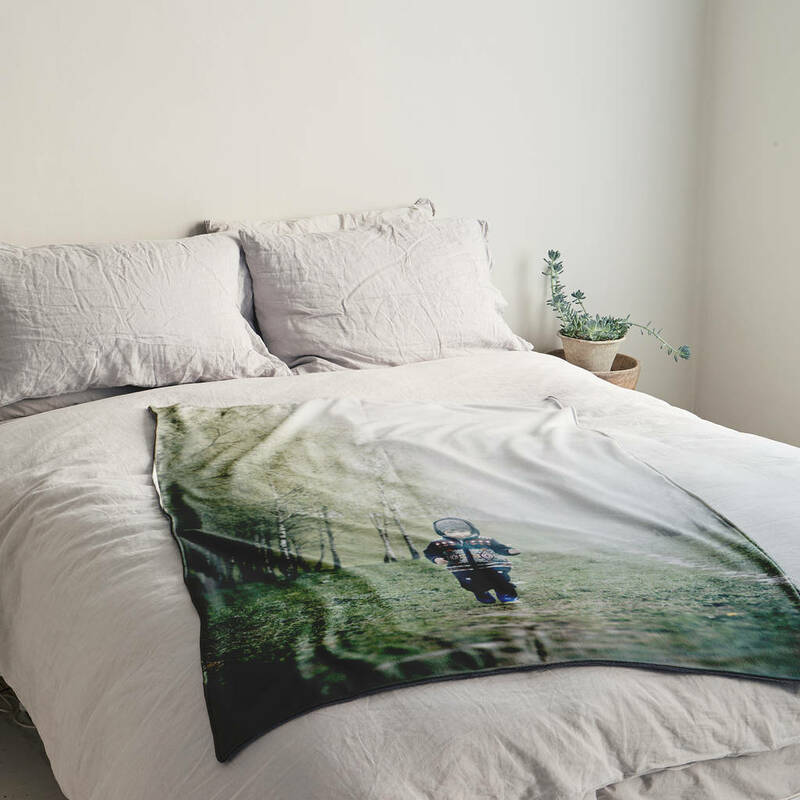 This photo blanket also makes a great gift for someone living away from home that you won't get to see in person. 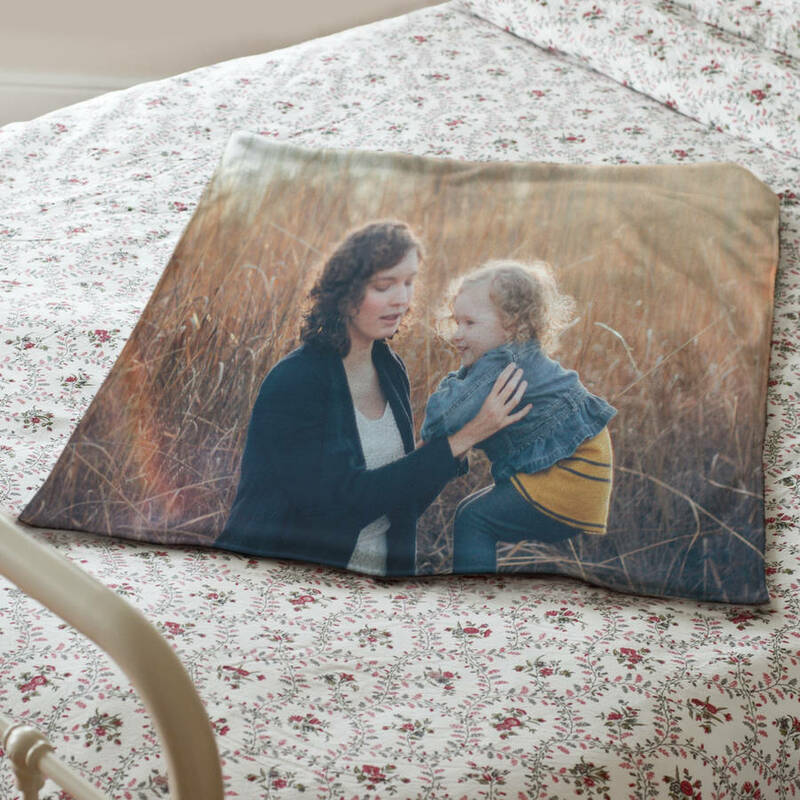 Display a photo of yourself to give as a gift and the recipient can wrap the blanket around themselves as if you are giving them a big warm cuddle! 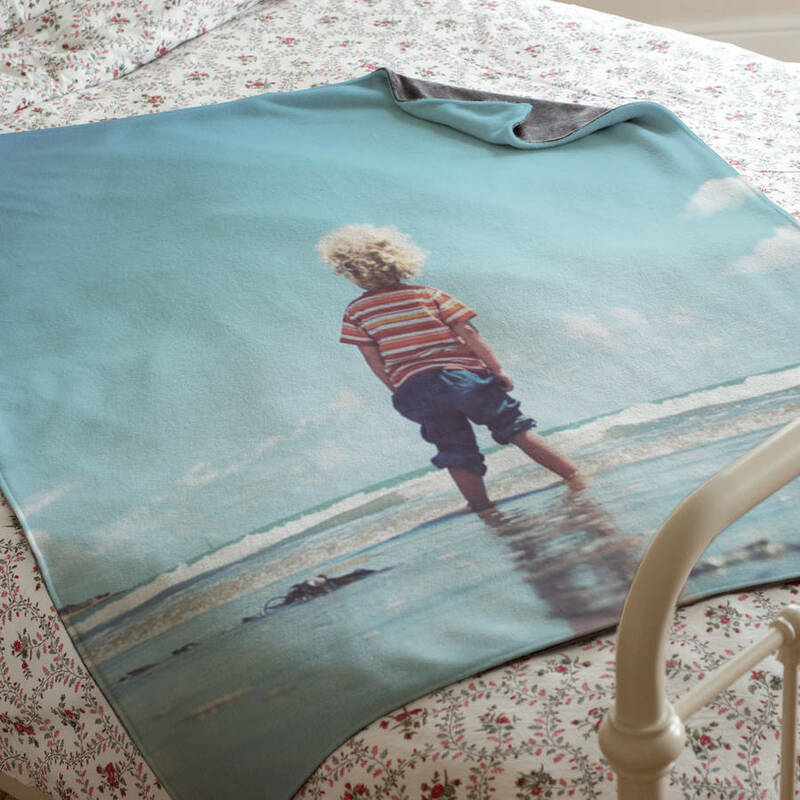 Your photo is printed directly onto fleece, which is backed in a super soft, furry polyester. 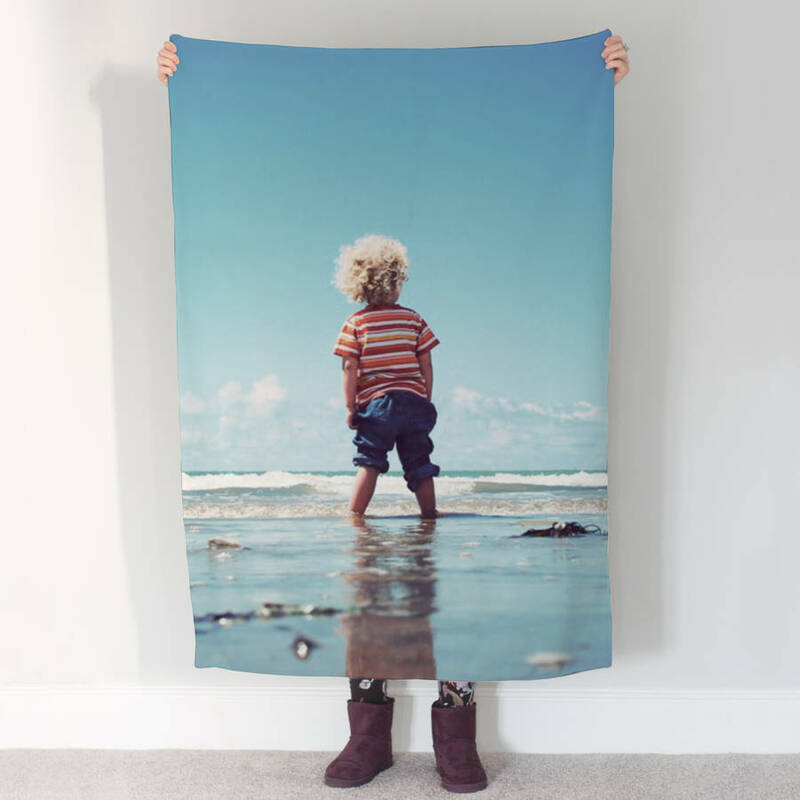 All sizes are available in either portrait or landscape. PLEASE NOTE: It is the customers responsibilty to ensure that appropriate images are supplied. Please ensure you provide us with the largest version of your chosen photo that you have. 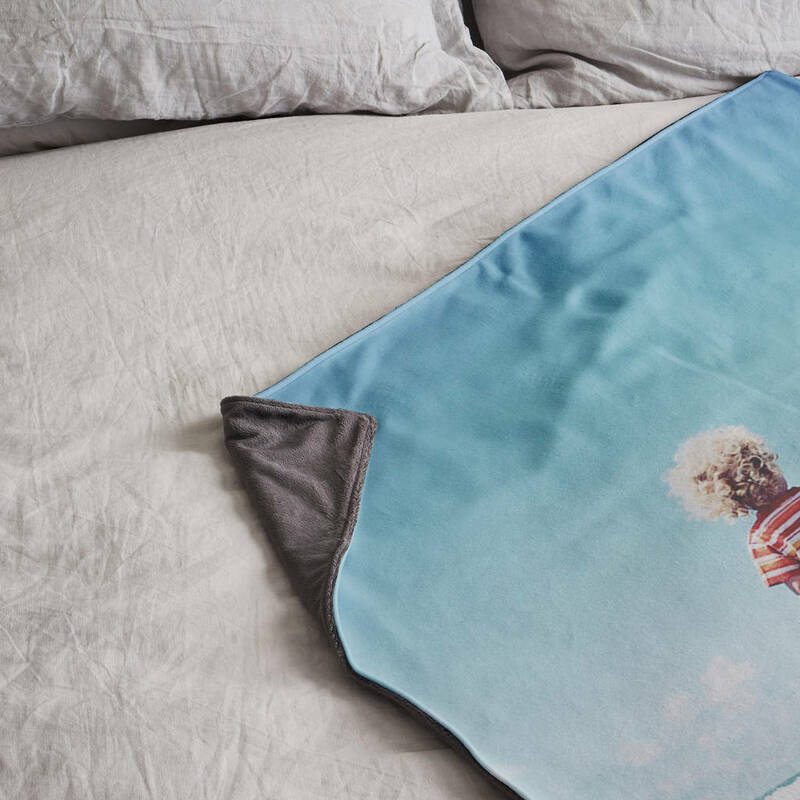 Photo will be enlarged & cropped to fill the shape of the blanket.